Throughout the Nepali film industry’s half-a-decade history, it has never had a means to gauging just how popular a film is and how much money it is making. Although producers often tout their films as having done excessively well, raking in millions of rupees, an objective measure has always been lacking. All industry watchers had to rely on was the length of time a film was in theatres. All of that was set to change this year, with the Film Development Board instituting a digital ‘box office’ system--a central server that would collate the total number of tickets sold and thus, provide a measure of the revenue being generated. This ‘box office collection’ is thus the gross amount a film makes through ticket sales before the revenue is shared among producers, theatres and others. 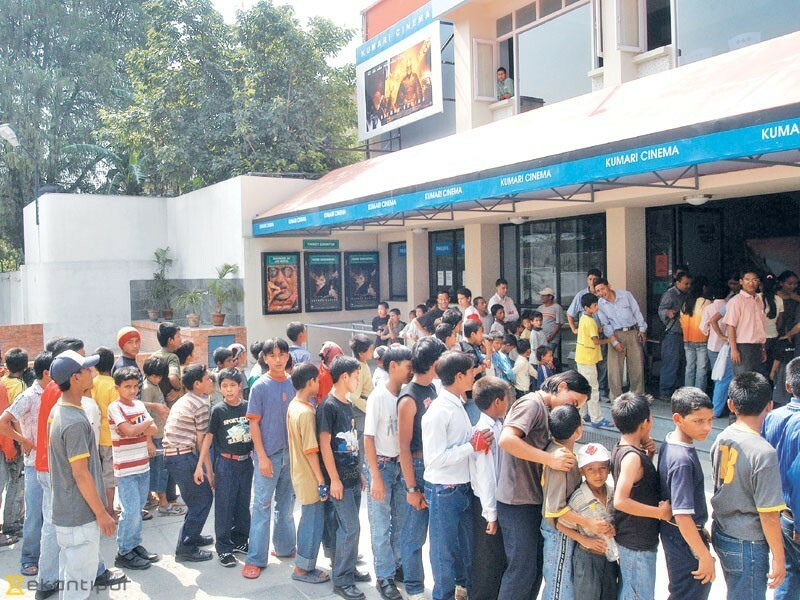 The box office finally came into effect in Kathmandu Valley on July 18 earlier this year, but there is no such system in theatres outside of the Valley. And as more than half of the revenue for films comes from outside the Valley, the box office is largely irrelevant, say industry insiders. “We are unaware of where this system is,” said Pradip Kumar Uday, who distributes a majority of Nepali films outside the Valley. As most cinema halls outside of the Valley still depend on manual tickets, the primary obstacle has been in getting them to adopt an e-ticketing system, bringing their revenues into the centralised box office. In December 2017, the Film Development Board had announced that a box office system would come into operation nationwide from February 2019. The Board has plans to provide loans to those halls that cannot upgrade their ticketing system on their own, said Nikita Poudel, the Board chairperson. These plans, however, are likely to be delayed. Pramod Pandey, manager of the Damauli-based Uttarsheela Hall, said that for a hall whose turnover is as low as Rs800 some days and barely exceeds Rs5,000 on others, installing a costly e-ticketing system could sound the death knell for the theatre itself. If popular halls like Uttarsheela, which is also located in the city, cannot implement e-ticketing, it would be impossible to expect this from other establishments located in more rural areas, said Dipendra K Khanal, director and producer. Controversy had shadowed the Film Development Board’s plans for a box office even before this issue with halls outside of the Valley cropped up. In April, a dispute had erupted between the Film Producers’ Association and the Nepal Motion Picture Association, an organisation of film hall owners, regarding the distribution of the total revenue between the two, delaying the implementation of the box office. The issue has now been resolved and all theatres in the Valley are now connected to the central server, said Manish Pandit, box office consultant at the Film Development Board. In case any producer wishes to know the actual collection of their films, they can do so, said Pandit. However, the information will only include the collection inside the Valley. Despite reservations, a full-fledged box office system around the country will be good for Nepali cinema, said Khanal. The producers and directors need not worry about their film’s collection. This, however, can only be achieved through a planned process that includes the upgrading of all cinema halls throughout the country.